Maine's Southern Coast Travelers Map & Guide, by Map Adventures, 2016. 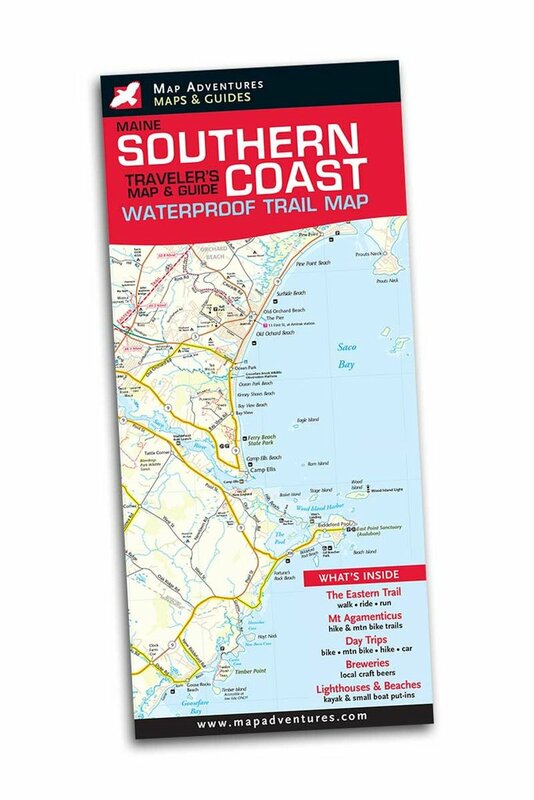 Attractive waterproof topographic map covers area from Old Orchard Beach to Kittery and Portsmouth, NH, with info on scenic drives, walks & hikes, nature preserves, beaches, breweries, lighthouses and bike rides. Inset maps show trail details for Mt. Agamenticus and several other areas. Folded to 4" x 9".